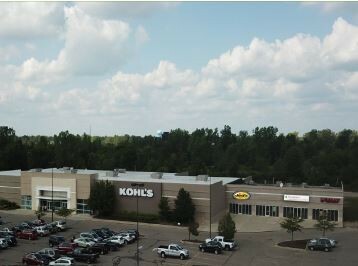 The Cooper Commercial Investment Group is pleased to announce the sale of the Kohl’s shadow anchored, Adrian Plaza, an 8,000 S.F. retail center located in Adrian, Michigan. The 100% occupied property is anchored by ProMedica Home Medical Equipment (a division of the ProMedica Health System/Partners), and also includes Sally Beauty (NYSE: SBH/S&P “BB+”) and a regional BBQ restaurant. Bob Havasi and Dan Cooper of the Cooper Commercial Investment Group in Cleveland, Ohio, had the privilege to represent the owner, a private investment group out of Ohio, whom Bob and Dan have worked with on multiple transactions in the past. The private investment buyer purchased the property for $1,250,000. Through marketing efforts, the Cooper Group generated a significant amount of interest and obtained multiple offers on the center. The Cooper Commercial Investment Group looks forward to working with parties interested in selling or looking to acquire other similar commercial assets and encourages you to contact them for a no obligation, evaluation of your commercial property. Visit them on line at www.CooperGrp.com for the most up-to-date listings and information, stay connected by, “Like” them on Facebook and follow them on Twitter @TheCooperGrp.